What about that Bag ? I usually do my photo shoots during the weekend – that is the only time of the week when my dear photographer Stela and I have enough time to meet up and take the pictures. Of course, nice weather is always a plus in our blogger escapades! This weekend I got sick with a stomach flu and all our plans had to be postponed. Because of that I decided to realize an idea I had for a while – make a collage of all of my handbags, shoes and jewelry that I wore in former blog posts – today I started with my favorites – the bags 🙂 ! 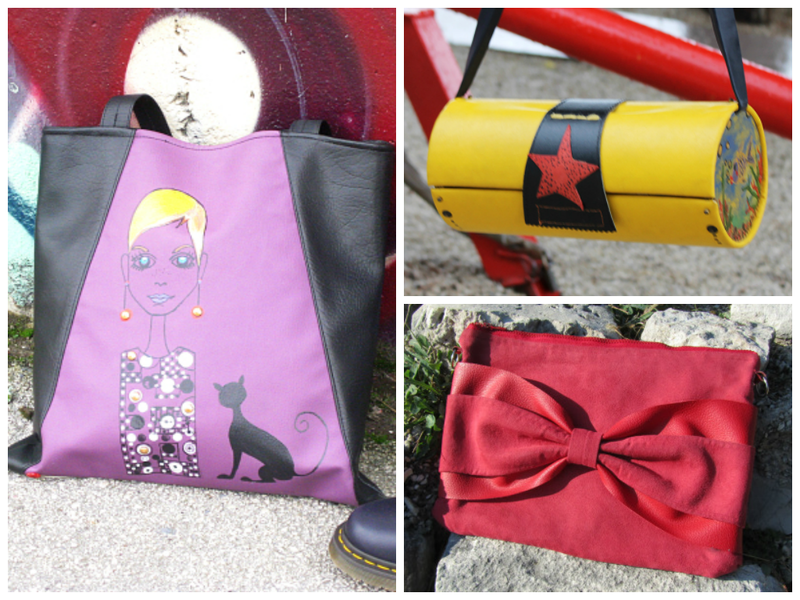 I’m really happy that among my handbag collection is a large number of handmade products and that some of them have found their new owners. But one thing is for sure – you won’t find one quite “normal” model among this collection! How many bags do you have, and what are your favorites in my collection? Kisses from sickly Miss Dee :* ! >Geeky fashion and lifestyle blog with an accent on presenting gothic, rockabilly and punk sites!